Cocoa is just as sweet as his name suggests. 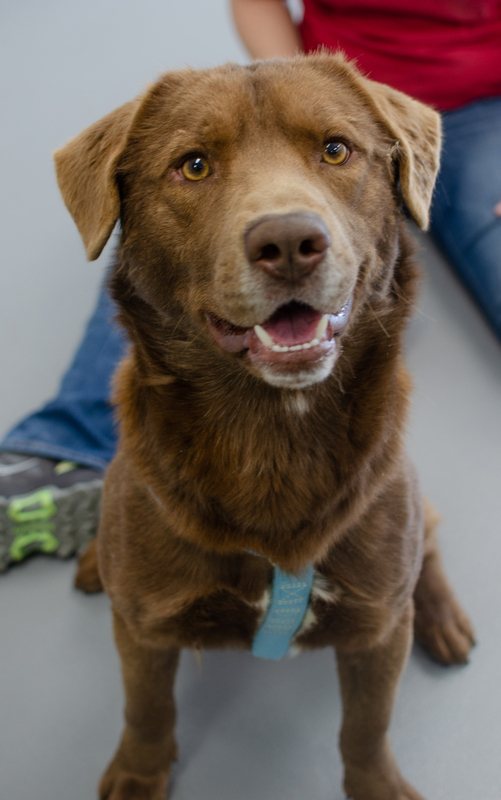 A big, goofy 3-year-old Chocolate Labrador mix with loads of energy and a ready smile for everyone he meets. Like most of his breed, he’s a fan of toys – specifically tennis balls – and nothing makes him happier than the chance to chase one around the yard. Cocoa is hoping for a family who will provide him with as much love as he has in his own heart. Affectionate and eager to please, this handsome fellow is going to make someone very happy for many years to come. Scarlett is a true lady in feline form. Her sleek orange and black coat is lovely, but her eyes are nothing short of stunning. 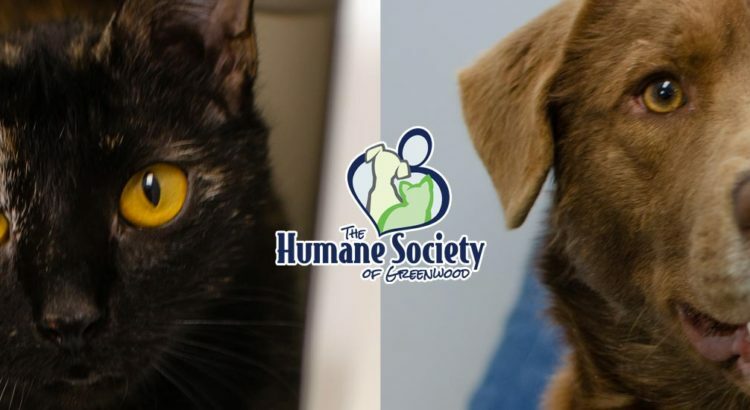 Bright yellow-gold, they are captivating and exhibit her intelligence as well as her gentle soul. Scarlett is just over a year old. 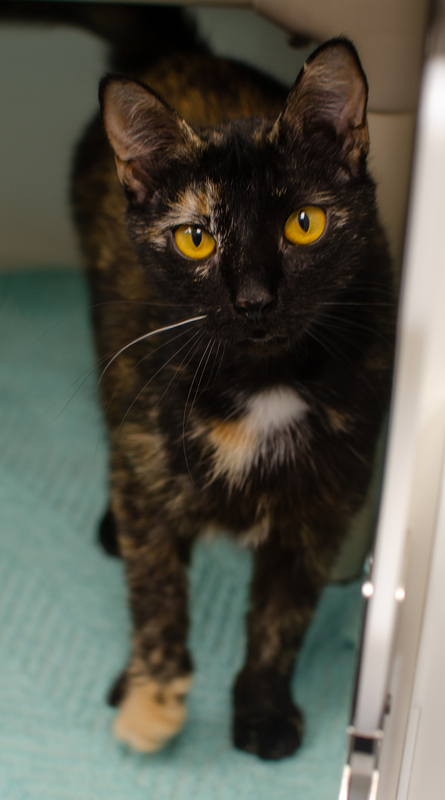 She’s playful but also delighted to simply snuggle and enjoy the company of her human companions. She’s spent time around kids and dogs and proven herself to be both accepting and relaxed. 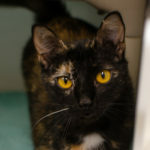 Come meet Scarlett today, for this beauty is sure to be popular and may not stay long.